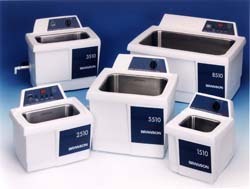 NCIoffers a variety of ultrasonic cleaners available with timers and/or heaters to ensure a thorough clean. Additional cleaner accessories are also available. These include solid or perforated trays, beakers and beaker covers, as well as support racks suited for each of our three ultrasonic cleaner models.